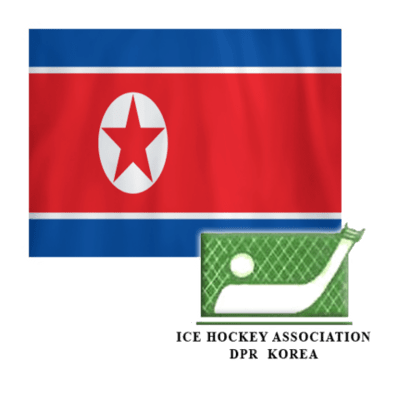 South Korean, North Korean national female hockey teams are due to play April 6th at the IIHF Ice Hockey Women’s World Championship Division II Group A In Gangneung, South Korea. 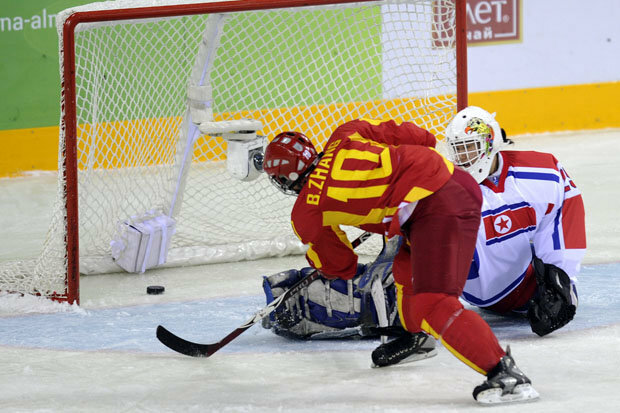 The Participating of the North Korean national women’s ice hockey team has not been discussed and there is a good change that the North Korean team may not be able to compete at the World Championships. The North Korean Ice hockey Teams Men & Women are not competing at the 2017 Asian Winter Games due to Japan stance Pyongyang’s nuclear weapons tests. Later Japan allowed North Korean athletes and officials to participate in the 2017 Sapporo Asian Winter Games later this month as an exception to the entry ban on North Korean citizens, government sources said. The punitive measure was put in place as part of sanctions for Pyongyang’s nuclear weapons tests and rocket launches. Seven athletes two figure skaters and five short track speed skaters will compete at the Asian Winter Games. North Korea at the 2011 Asia Winter Games where they won one bronze. Her Olympic Qualification campaign didn’t start ideally as Denmark lost 6-1 to Switzerland but Henriette Ostergaard has still a lot to look forward to. Like in men’s hockey, women’s hockey is having an upward trend in Denmark. Ranked 15th to 20th between 2007 and 2012, the Danes finished the IIHF Ice Hockey Women’s World Championship campaign 10th to 12th overall in the last few years and got a shot in the Final Olympic Qualification to compete for a spot in PyeongChang 2018. But in their first game against Switzerland, a bronze medallist at the last Olympics, they were shown that there’s still a discrepancy to the top nations. “The discrepancy is probably the reality. We knew they’re a good team, we’ve never played them before,” Denmark captain Henriette Ostergaard said. The Danes tried to play well on defence but had unlucky bounces in the first period and broke down under heavy pressure late in the second. Although things are improving, the women’s hockey family in Denmark is still not that big with 428 registered players in the country. Some of the top players therefore try to get the challenge abroad like the 26-year-old did with a couple of years in the top Swedish league and in the NCAA Division III. “I played in Sweden and in the States for a few years. My career is coming to the other end,” said Ostergaard, who now plays her club hockey in Herlev. With the numbers slowly but gradually going up every year, Danish women’s hockey is growing and Ostergaard hopes that hosting the 2018 IIHF Ice Hockey World Championship in Copenhagen and Herning will animate both boys and girls to start playing the coolest game on earth. As a native of Herning, next year will be even more special for her. “It’s huge for the city. They’re going to play both in Copenhagen and Herning but the Danish team will be playing in Herning, it will be our home city. I think it’s going to be huge. It’s going to be a big thing for Danish hockey in general,” Ostergaard said about having the biggest annual winter sport event in her hometown on the Jutland peninsula. You can count in Ostergaard for being at the event and she can even imagine that she and her teammates will take an active role. “A lot of us are probably going to be there for volunteering and to show up as a team. I’m from there so probably I’ll be working for them. A lot of the girls also have brothers who play on the men’s team,” she said. The volunteer registration is open and more information can be found here. While looking forward to a big year for Danish ice hockey in general, Ostergaard’s focus will be on the next game of the Final Olympic Qualification Group C in the Swiss mountain resort town of Arosa, on Saturday against the Czechs, who started with a 5-0 win against Norway. “We played the Czechs a few times now. We match them a little better [than the Swiss], we know them, we know what to expect, we know how hard they come out. We definitely know more what to do in that game,” she said, keeping hopes for a spot in PyeongChang 2018 alive. And come spring there will be another chance for the Danish ladies to move up to the top level as they will compete in the 2017 IIHF Ice Hockey Women’s World Championship Division I Group A in Graz against Japan, France, host Austria, Norway and Hungary.